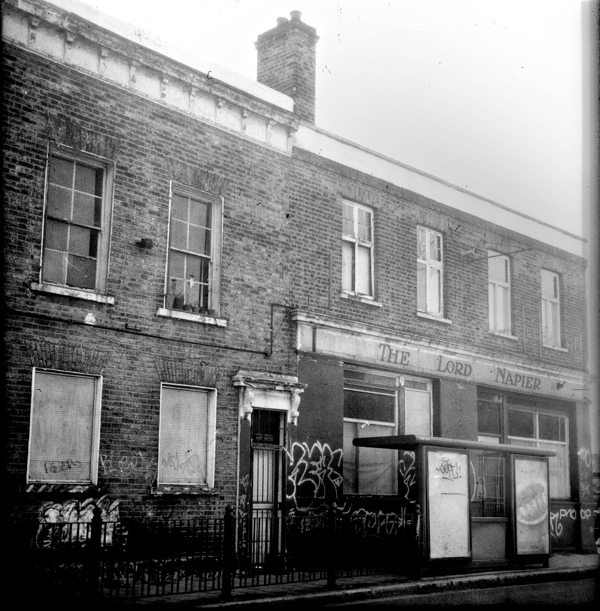 Slowly and without anyone hardly noticing, pubs are being snuffed out like candle flames. 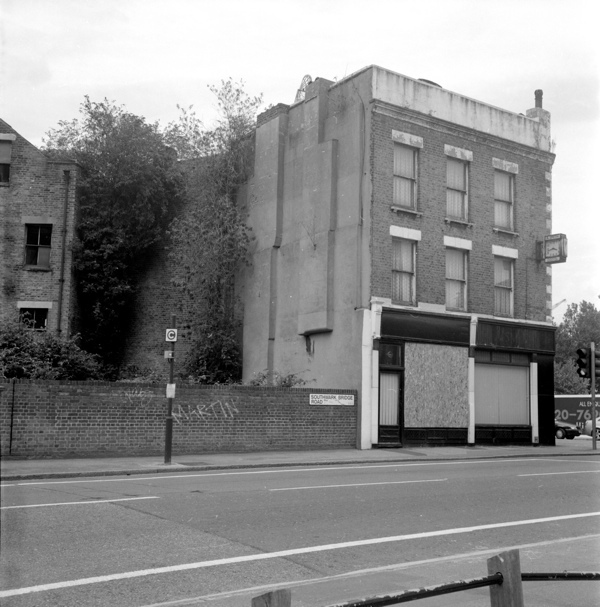 As a connoisseur of quiet and neglected places, it cuts me to the quick to see this gallery that Antony Cairns had the prescience to photograph between 2001- 2003 (and subsequently) just as his subjects were taking their last gasp – or should that be gulp? 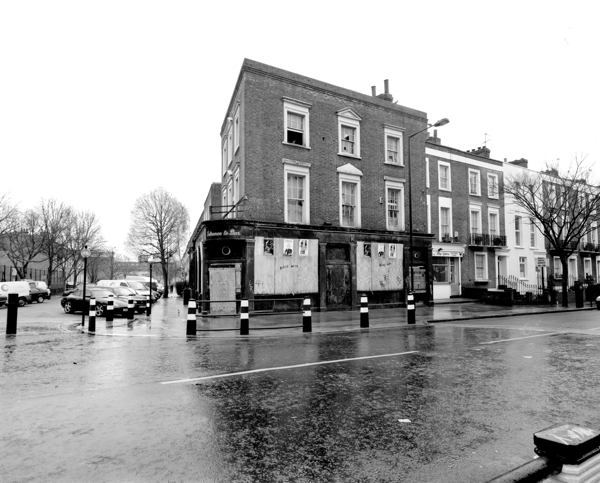 Yet – even in this final degraded state, boarded up and shut down – these pubs still retain their presence as receptacles of collective memory, and their aristocratic names and architectural flourishes declare their former glory with undiminished pride. 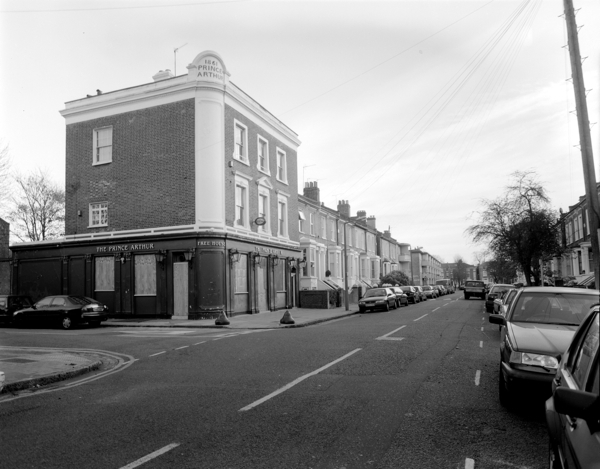 Can readers name the unidentified pubs and provide locations where I have none? 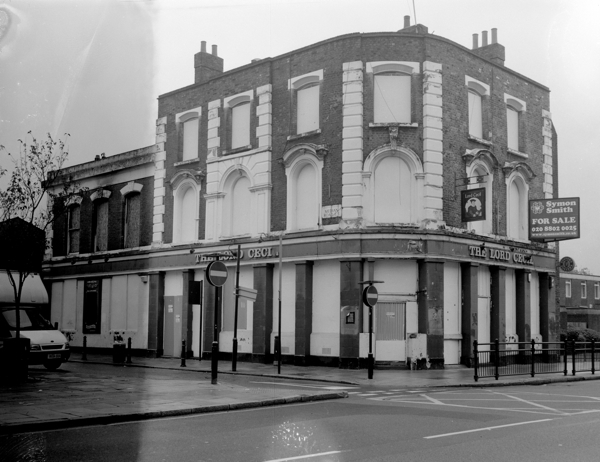 The Prince Arthur, Forest Rd, Dalston, 1861 – 2008 - & open again! 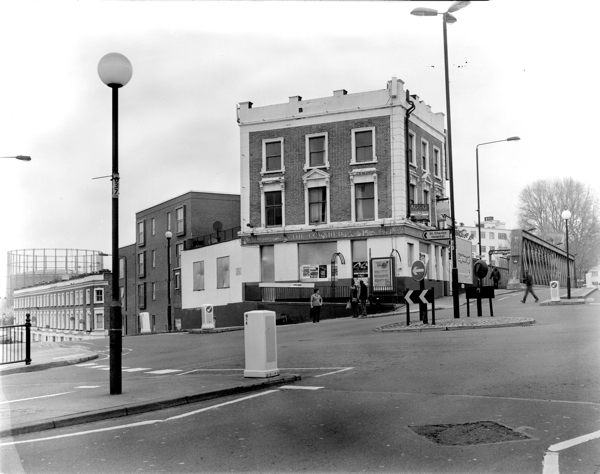 I think the pub on the Kentish Town Road was called the Clarence Arms. 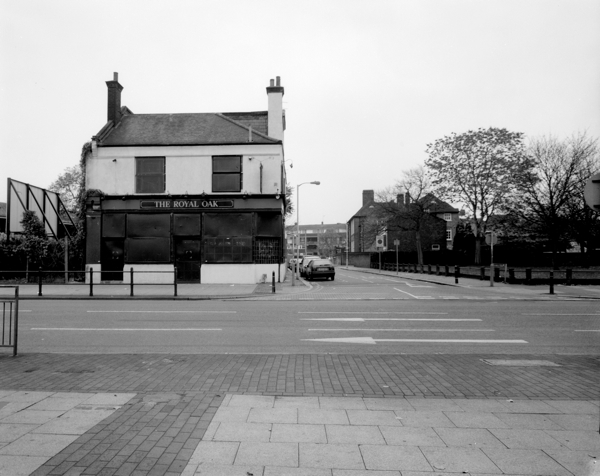 Also, a happy ending: the Prince Arthur on Forest Road is once again open as a pub. I got thirsty while reading this — hope and think the pub culture will never die! SKOL! 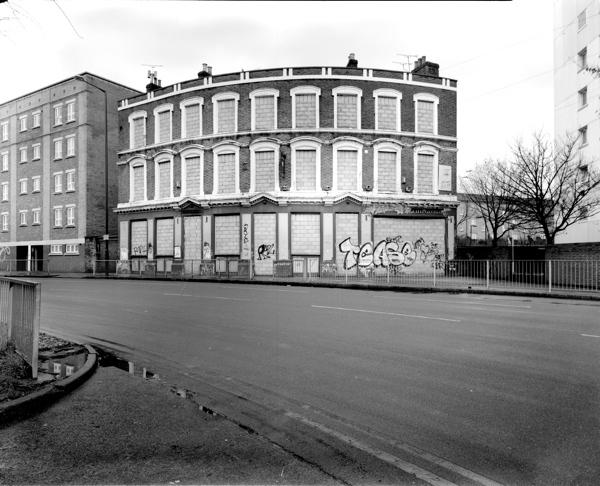 Sad – I guess many are now demolished, or converted into Tesco Metro stores ! I know the Duke of Clarence in Borough at least had the facade preserved as part of a development of the whole Georgian terrace it was part of by South Bank University. 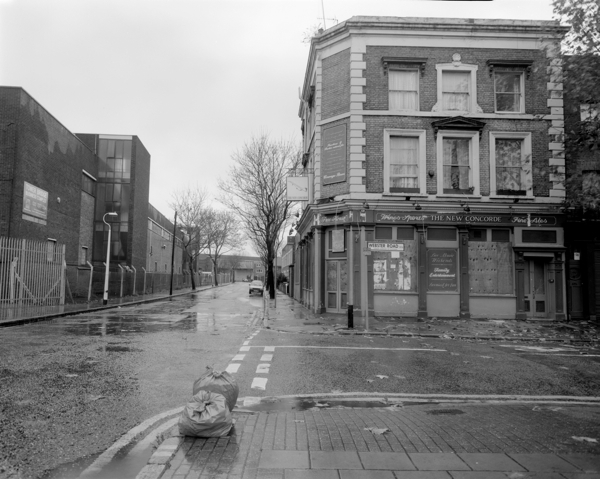 Hi there, brilliant photos, but as you say, it is a sad sign of the times to see these all being closed, knocked down or in such disrepair. Whether you be a drinker or not, pubs are a part of England’s heritage, manys an industry ran on the the fuel they provided, the ‘local’ was a part of every day life and the central hub of a community, in Victorian times they provided a reasonably safe alternative to often contaminated drinking water, often providing food and entertainment as well as importantly being an exchange for local news and gossip. 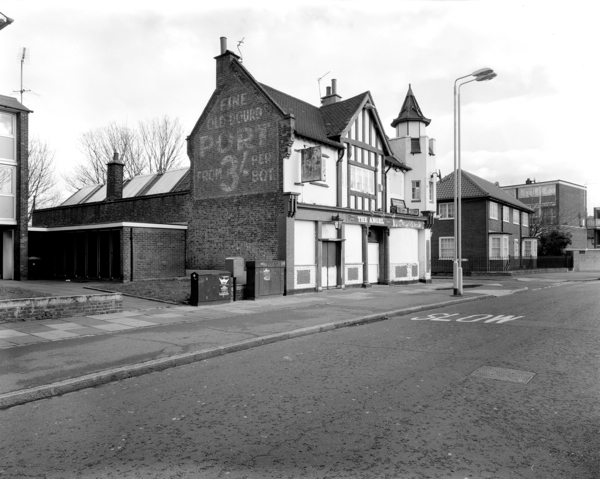 Maybe someone here can help me, what I really really would love to track down (and have been looking for since 2006) is an old photo of ‘The Crooked Billet Tavern’ which was at 32 st George street, St George in the East, sadly I can’t find any mention of it at all after 1921, it would mean the world to me to see it, the premises no longer stands. 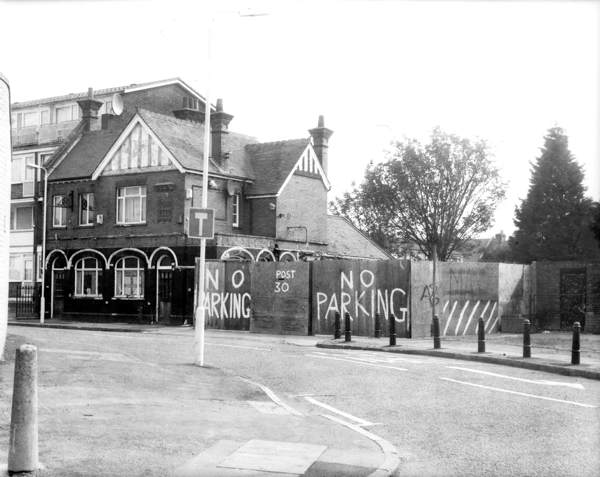 The Ship & Blue Ball pub on Boundary Street has been boarded up for years. The name and the swinging sign boards having been removed: one would pass it without so much as a second glance. Pub 46: Star, 30 Snowshill Road, Manor Park, E12 6BB. I believe Pub 53 is the Royal Oak, 45 Loampit Vale, Lewisham, SE13. It looks about right, and the pavement still has similar patterning now if you look at Streetview. 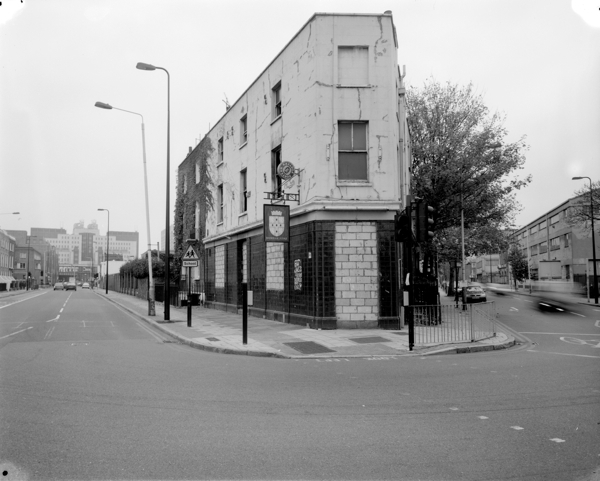 Finally, I’m not sure about Pub 62 on Southwark Bridge Road, but looking at some old maps, it might be the old Metropolitan on 60 Southwark Street, SE1, on the site of the current Southwark Rooms, but that is really just a guess. I find this very funny – how we have come UP in the world, from celebrating warship commanders of death, to celebrating home and farm and well-kept animals to provide food for our families! Huzzah for The Cowshed! 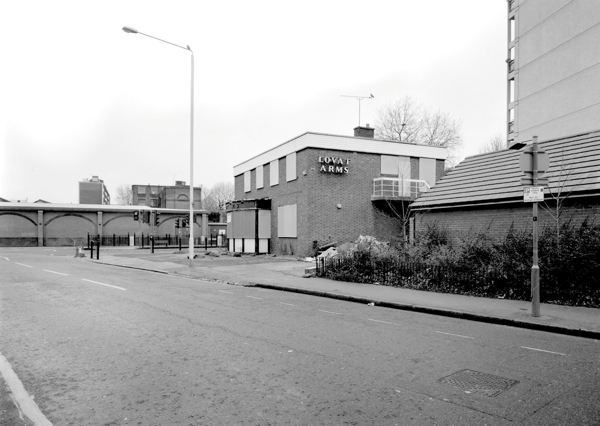 I know the Westbury Arms, which has now being demolished awaiting development. 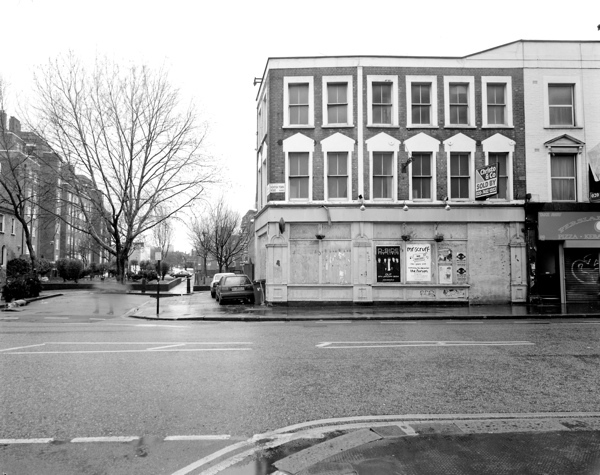 Sadly two other Barking pubs have been demolished. One has disappeared replaced by the new Leisure centre being built. 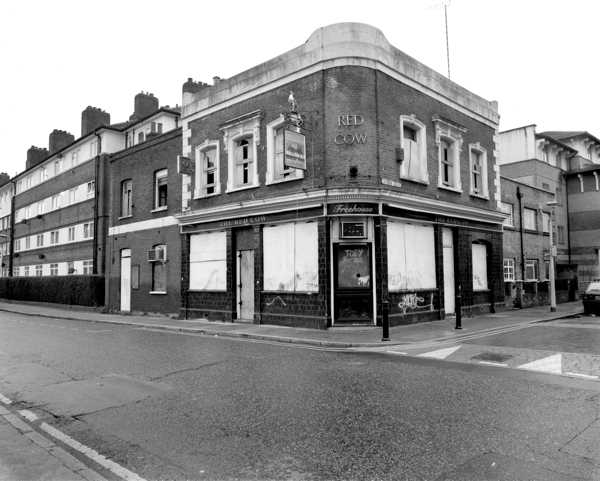 Nearby, the Harrow has been demolished to be replaced by homes. 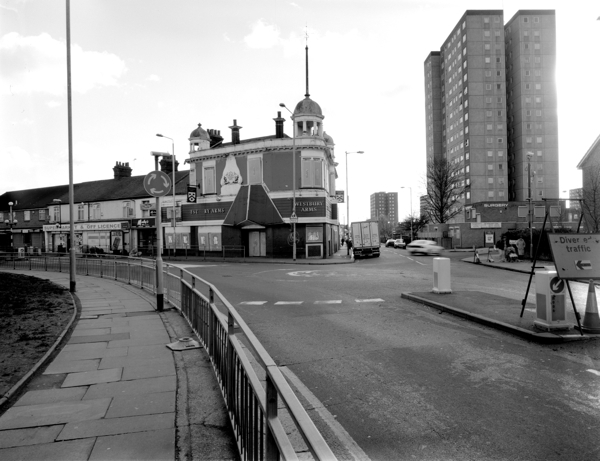 The Robin Hood on Longbridge Road is now demolished replaced by Lidl. 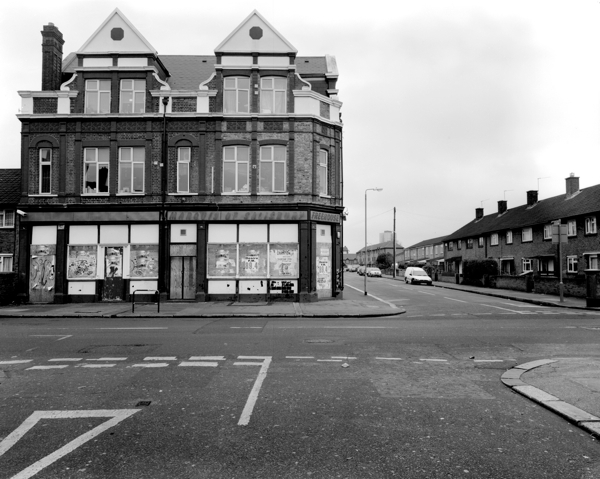 Two further pubs in the borough are now Tesco express stores. 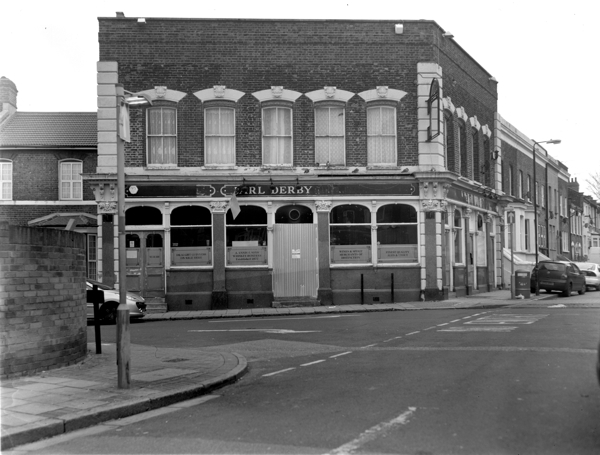 A pub on the Heathway is now a brand new library with many flats above. I’m curious about the origin of these wonderful names. Over here in the States we tend to name watering holes after the owner or the street they’re on. Maybe it’s common knowledge to a Brit, but what is the reason behind naming so many pubs after Royalty? Or naming them something special, like a Star? It makes one melancholy to see so many of these places close down. 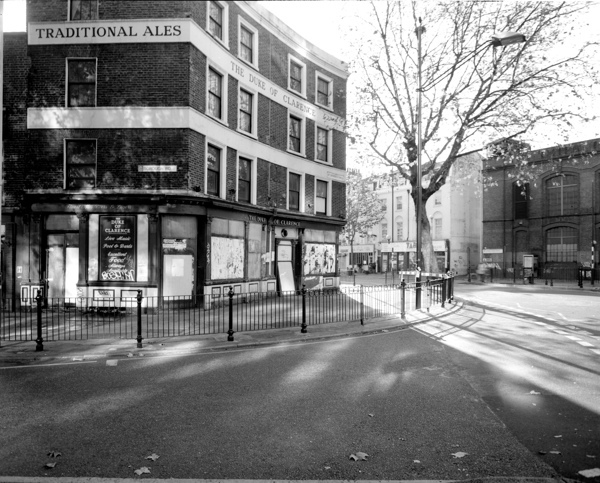 Are the other buildings in their neighborhoods going through a change as well, or are pubs becoming an endangered species? 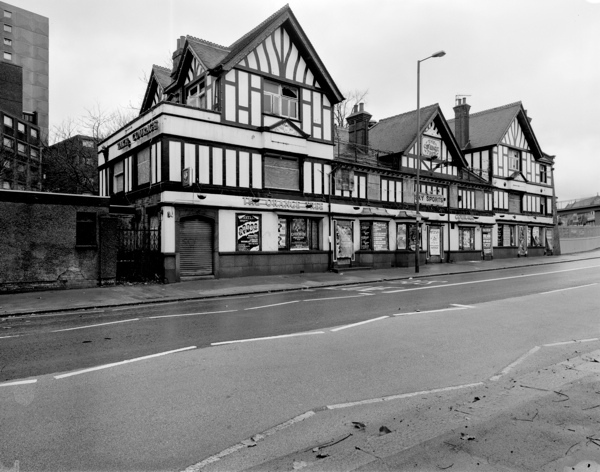 There is a photo of the Crooked Billet pub here. 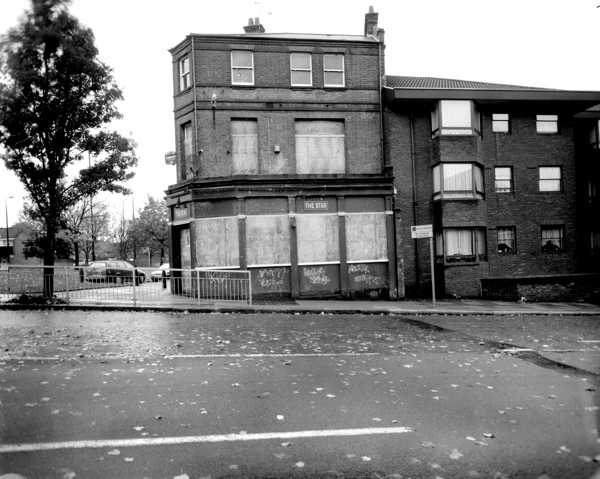 nothing sadder than a boarded up pub. sigh. I stumbled over this blog through some photos pinned to Pinterest, and I’m so glad that I did! 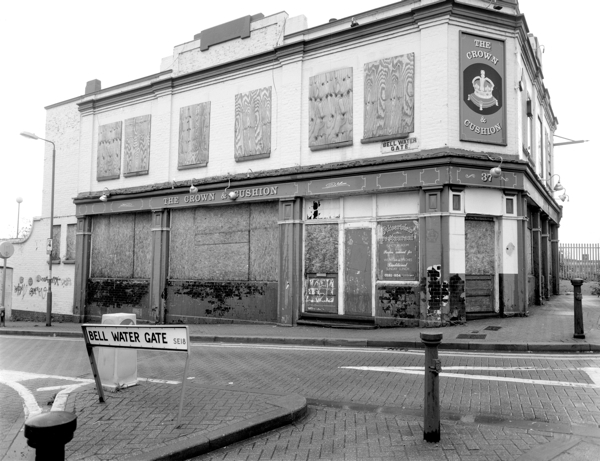 I’m American, but love all things UK, and it really saddens me to see all these pubs closed down. 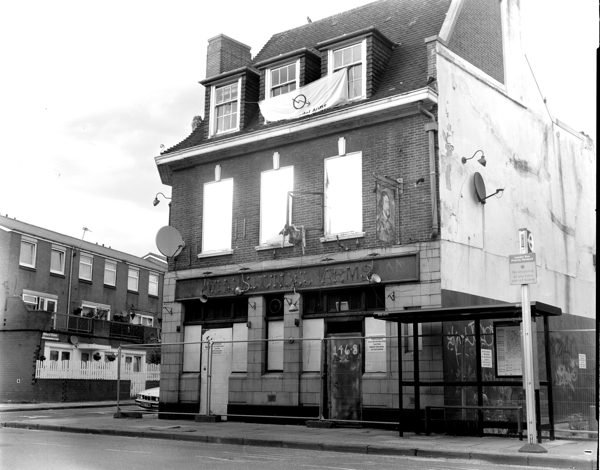 Could you tell me if pub culture is suffering a decline throughout the UK, and if so why? It’s such a shame to see this part of a nation’s heritage being lost. Thank you for all the fascinating posts! 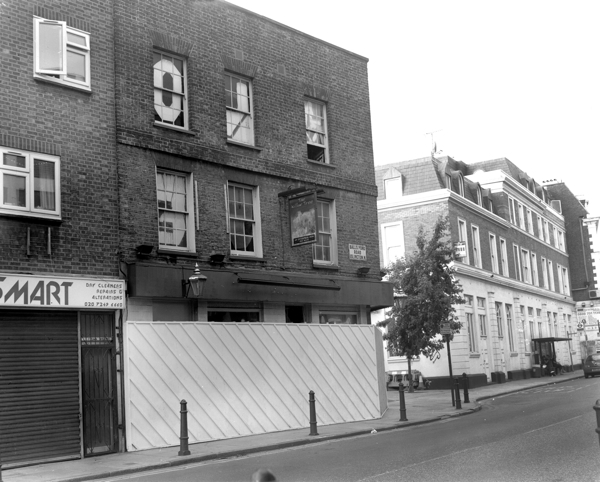 Is the former Clarence Arms on kentish Town Road now a Met police station? Pretty sure I have the location right, just wondering if someone can confirm. 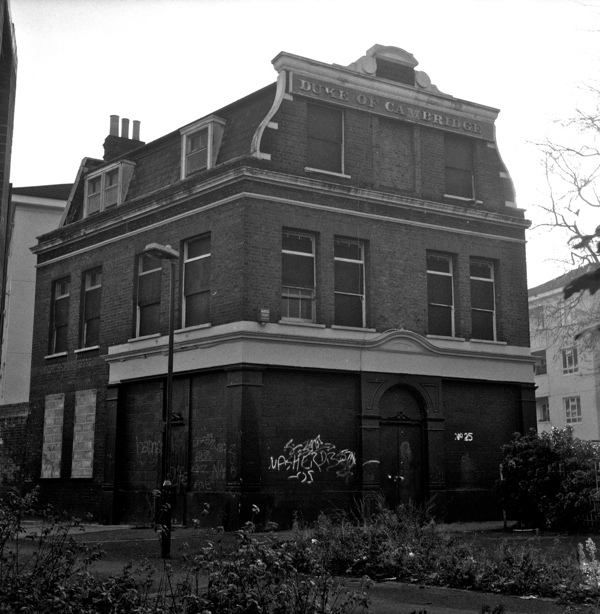 I passed the Lord Cecil in Lower Clapton today, looks like it’s being demolished. The roof and the back of the building have been removed. I suppose it’s possible they are keeping the facade and building something new at the rear. Great article. 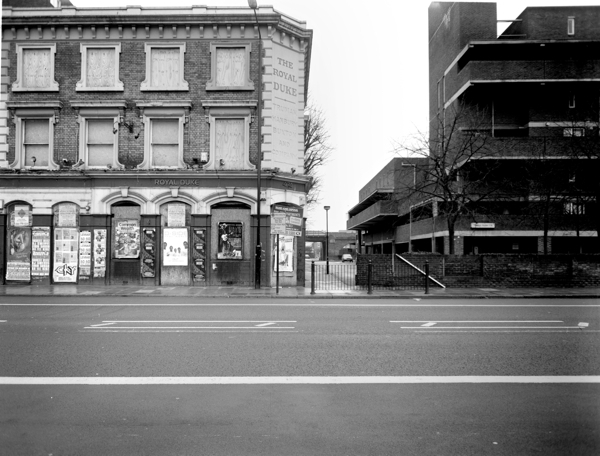 So many closed and boarded-up pubs in London. Out here in the country our closed pubs are generally turned swiftly into residential accommodation, but still very sad to see their demise. Great photos and some fantastic memories reawakened. 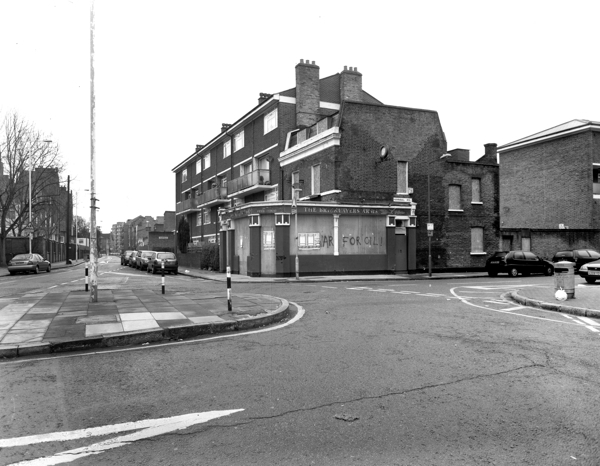 The unknown pub is The Newberry Arms, Malden Rd, NW5 on the corner of Marsden St. 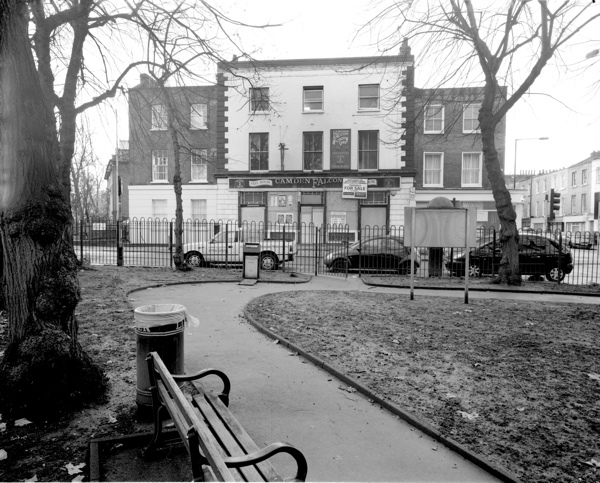 It was demolished in around 2005 and replaced with a block of flats. Marvellous reading. Thank you very, very much Anthony. 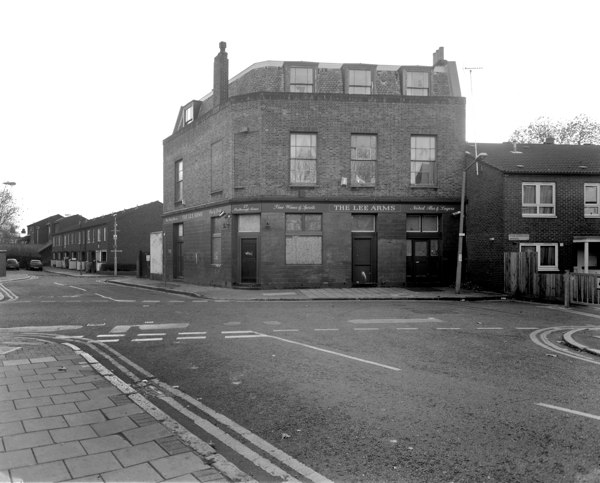 The Royal Duke in Commercial Road was in existence long before 1971. Thankyou so much Anthony for these beautiful photos . So very sad to see the closure and demolition of these lovely buildings. 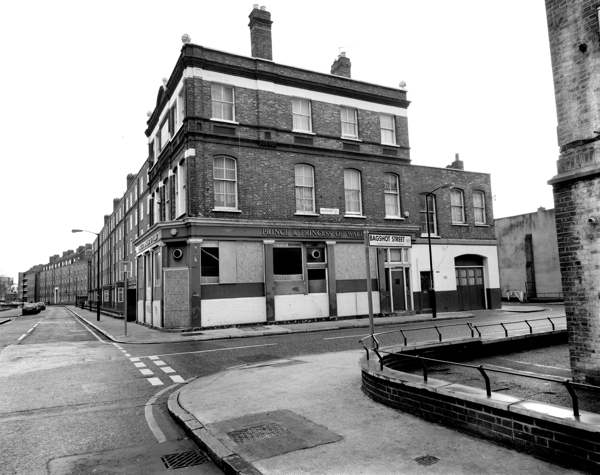 Picture of the Lee Arms brings back great memories – like most East End kids I spent many hours outside whilst the parents were drinking inside. In the fifties I also helped tidy up the cellar during bob a job week. 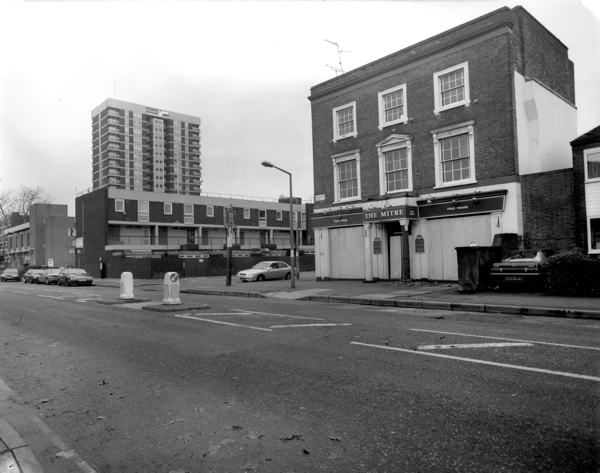 Knew the landlord, Lionel Rosen, very well – he took my father and myself to all Arsenal home games.